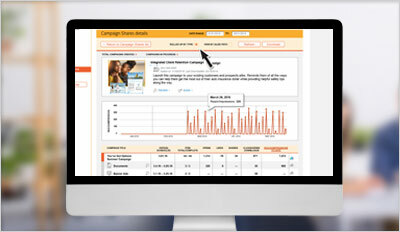 Offer custom campaigns with campaignShare. Rule of thumb: Getting new business leads requires ongoing nurturing at different touchpoints. 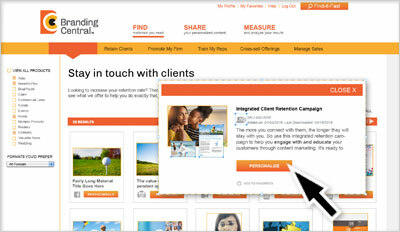 Provide an easy way to personalize campaigns. Not only can users quickly find the campaigns they need, they can easily personalize, schedule and launch them. Let users review and tailor campaigns. Whether campaigns are organized by week or by objective, users can preview all of the materials included from postcards, ecards, social media posts, and more. 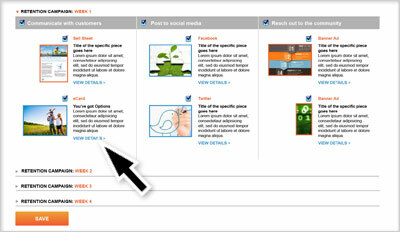 Plus, users tailor their campaign by deselecting any materials or channels that are not appropriate for their audience. Users can preview each item in a pre-packaged campaign and see how an item will be personalized with their contact information, logo and profile photo. And because all the information is pulled from their centralized user profile, personalization is automatic. Once the campaign is just how the user wants it, they simply select a launch date to see a recommended glide path for the materials they’ve selected. To keep them on track, we’ll send them email reminders of key dates and activities along the way. Make it easy to keep track of activity. 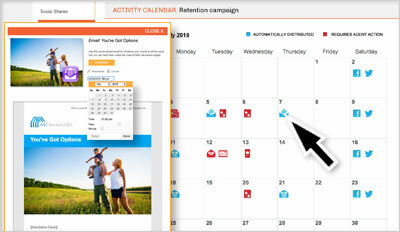 Once a launch date has been selected, users have access to their Campaign calendar. With a glance, you can view all your campaign activity — everything that’s been sent out and everything that’s planned to release. 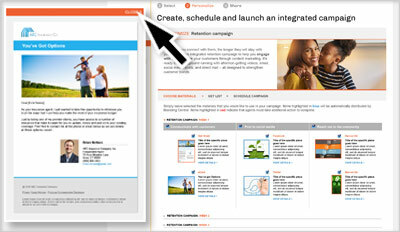 To see more detail, just click on an icon — campaignShare even makes it easy to reschedule materials from the same window.